Still Struggling With Ideas Or How To Find New Ideas For Your Next eBook To Sell Online? Want To Check If Your New Idea Will Make You Money Or Not? Well, Struggle No More!! Checking if your new idea will be profitable or not? Turning an idea into an online business? Putting your imagination to work? Turning your problem into an online business? Brainstorming for profitable new ideas? Making a passive income online by doing what you love every day? As a bonus and thank you for purchasing this book, the author has thrown in all the tools and resources that will help you get started as soon as possible for free. He went as far as explaining how these tools work and how you too can totally use them to get started into turning your own imagination into a successful online business. Its all inside this eBook. There is an eBook in every one of us, There is a story to every success or failure. If you have a certain skill or expertise that can help someone out there, this eBook will teach you how to write an eBook on it and make money online with it. The guide in this eBook is born out of pure life hack and experience of the author's journey into the world of online business. 67 pages of pure knowledge and guides. Now, are you going to let your ideas and skill rest with you? Or are you willing to let it out so you don't have to regret with skill or life unfulfilled? 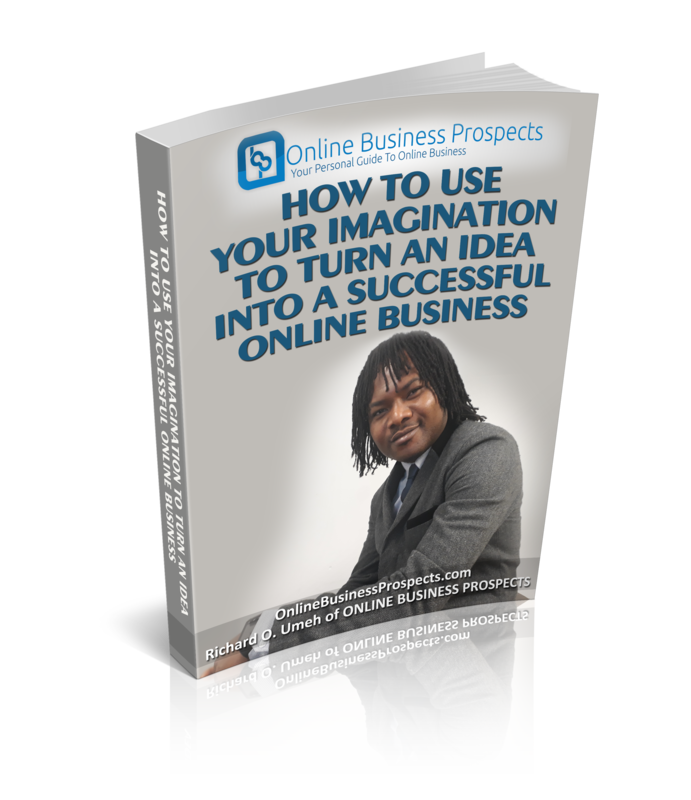 Buy this eBook and learn how to use your imagination to turn an idea into a successful online business from today.